Glad that I made it to Pink Parlour's Hair Free Day yesterday, 15th April. S$8 for one waxing service is a VERY good deal. 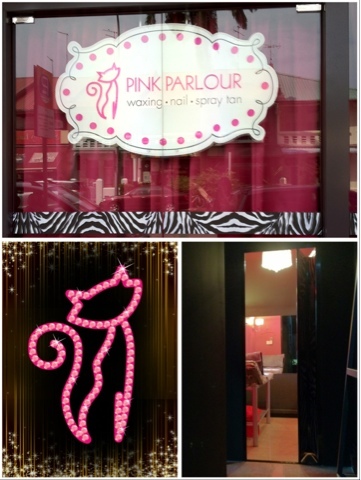 It's my first time at Pink Parlour. The place and service is good. 'Wait, there's more.' 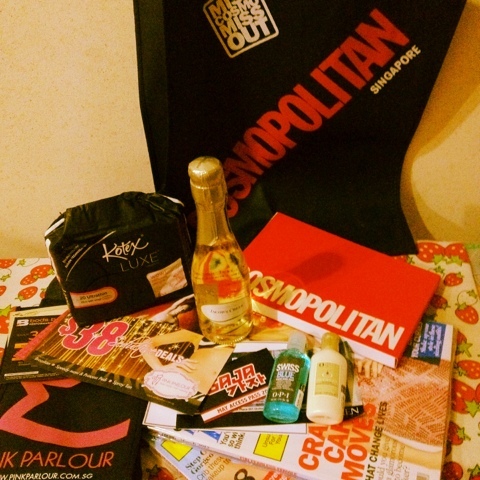 The goodies bags from Cosmopolitan Singapore and Pink Parlour are so cool. Happy me, hair-free me. And oh, I love the staff's shirts saying, "I'm a Brazilian waxing survivor."